These are delightful savoury crackers, great for snacking. There's two types of cheeses used, Cheddar and Parmesan, and chopped fresh rosemary, one of my favourite herb! I have two pots of rosemary plants growing in my little potted garden, and I can smell their lovely scent each time I water the plants, or simply touch them with my fingers, love doing that! I've used salted butter and have omitted the salt, taking into consideration that the cheeses are already salty. The dough has to be refrigerated for at least two hours to firm up before rolling and cutting into shapes. Sprinkle some finely grated Parmesan cheese over each cracker before baking. I don't have to tell you how the kitchen smells while these are baking, so cheesy nice! Crispy, salty and cheesy with the fragrance of rosemary. They are perfect for snacking, and especially nice with a cup of warm tea. I have baked them a few minutes longer for crispier bite! Place the flour, Cheddar cheese, 2 tablespoons of the Parmesan cheese, the rosemary, salt, and pepper in the bowl of a food processor and pulse until combined. Scatter the butter pieces over the flour mixture and pulse until the mixture resembles coarse meal. Add the sour cream, olive oil, and egg yolk and pulse just until blended. Turn the dough out onto a work surface and shape it into a disk. Wrap the disk in plastic wrap and refrigerate for at least 2 hours until firm (or up to 2 days). Position a rack in the center of the oven and preheat the oven to 375F. Place the chilled dough on a lightly floured work surface and, using a rolling pin, roll it out to a thickness of 1/8 inch, sprinkling it with flour as necessary to prevent sticking. Using a 1-3/4-inch scalloped round cookie cutter, cut out as many rounds as possible from the dough and arrange them 1/2 inch apart on ungreased baking sheets. Reroll the scraps and cut out more crackers until all the dough is used. Sprinkle a small amount of the remaining 1/4 cup Parmesan cheese on top of each cracker. Bake the crackers, one sheet at a time, for 13 to 16 minutes, until light golden brown. Transfer the crackers to a wire rack and cool completely. Cook & Celebrate Christmas 2014 hosted by Bake For Happy Kids, Eat Your Heart Out and Domestic Goddess Wannabe. and 4th Dec is National Cookie Day! Thanks to Louise for this info! 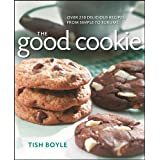 I'm linking this post to "Cookbook Wednesday @ Months of Edible Celebrations" which I'm sharing this book "The Good Cookie" by Tish Boyle for this week. I love these Cheese Crisps. Not only do they look so pretty, I'm sure they are oh so much better than store bought too. Two cheeses must make them deliciously cheesy, lol...I'd love some for a snack right now for breakfast! Thank you so much for linking up to Cookbook Wednesday! I know these Rosemary Cheese Crisps are going to be a huge hit!!! 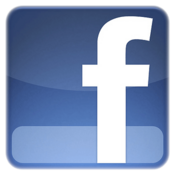 I fixed your picture on the link page. For some reason it wasn't showing up but it's all fixed now. Thanks again Joyce. Now may I have a cookie??? 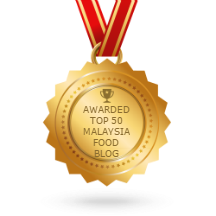 Hi Joyce, your Rosemary Cheese Crisps is so fragrant and definitely goes well with cold beer ! Yeah ! It's party time ^-^! I love these crisps Joyce! I love rosemary and i must plant a new rosemary plant. The last time i bought a small pot from Giant die after a while. I think it is too hot because I put outside my house. May I know do you put your plant under the shade or in side the house? I can smell your rosemary cheese crisps from here. These crisps will be so good for snacking and I bet it is additive too. I like the shape of this crisps... cheesy and good too. Hi Joyce I love these. I can just imagine the cheesy flavour. And that plus rosemary, I am sold! I love these cheesy herbal crackers! They look super, Joyce. These would be a great gift for a cheese lover! 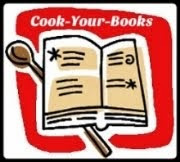 A cookie cookbook is so suitable for this season, when we love to give gifts of food to friends and family. Joyce, I can imagine how cheesy and nice fragrance these cookies are, yum! I love Rosemary and can imagine the nice frangrance from these cookies. I'm going to bake these!